Does anime going mainstream scare you? This question popped into my head upon reading some of the comments on the Cowboy Bebop movie thread, and more recently I was reminded about it a comment on my Shoko Nakagawa post earlier in the week. Scare may not be the right word. I believe communities feel strongest when they are not part of the majority. Close groups feel more intimate. While I wouldn’t exactly call the anime community a small group, it is rather small compared to more mainstream communities. The size is what binds us together. 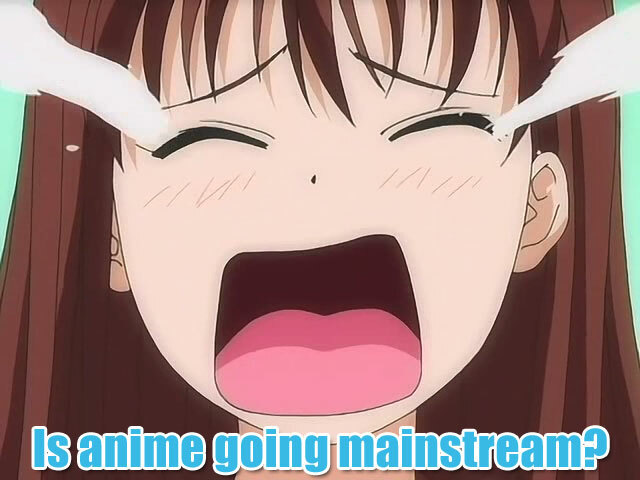 It’s what makes us visit the great blogs and websites to find out the latest anime titles and cool stuff from Japan. However, in order for the anime community to remain alive and vibrant, it needs to grow. Companies need to get their titles and offerings in front of new eyes… and pockets. At some point, the close-knit community feel is going to disappear. While this may sound dire, I believe it’s a by-product of a needed change. One of the in-direct benefits I suspect will happen is the price of anime will become cheaper. 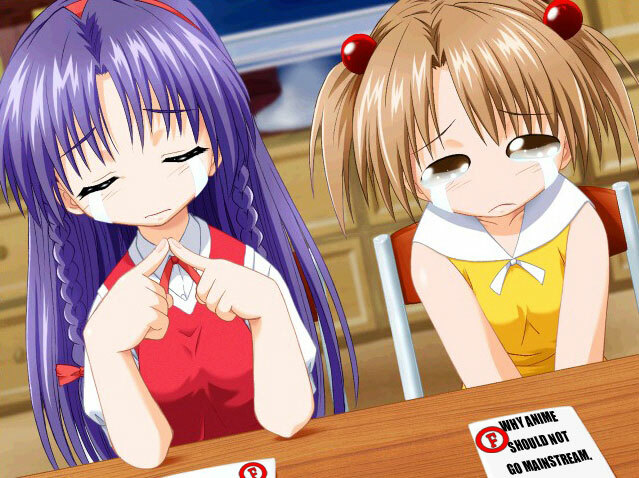 Most anime fans simply don’t have the income to purchase titles from stores. Most fans here in America especially are too young to even legally have a job. When boxed sets can easily exceed $200, it’s not surprising that torrents and watching anime from streaming outlets like Youtube and Veoh have become a common practice. So, theoretically, if a company can move more product, they can afford to have a lower price per unit. This means cheaper anime for everybody. Now that example assumes that the company actually cares about the community, and will sacrifice a bit of profit to help their brand name. As of right now, 53 people believe yes, FOX is trying to capitalize, while only 1 person thinks they are not. I find it hard to believe they are not trying to capitalize on the growing anime industry. And personally, I don’t have a problem with them doing it. I do have a problem if they don’t do it right! While many people hate the fact that these companies are making live action versions of great classic anime titles, the ultimate goal is to bring exposure to works of art that they may have never seen otherwise. I personally believe the anime comunity as a whole needs to look at the bigger picture, and what is best for the community as a whole. Take a step back from how it would make you feel having everyone around you talking about the latest episode of One Piece, or the latest shonen Naruto manga. Sure, you may not feel as special as you once did. If you choose to be concerned about you, and not the community as a whole, imagine how you would feel if your favorite anime wasn’t around because it was no longer a viable business. Code Geass: What is the Fukushahado? Battle of the handhelds. Who's your favorite?